Bonsai Basics ClassesJoin the instructors from the East Bay Bonsai Society (EBBS) in a workshop and learn the basics of bonsai, potting, trimming, wiring, and design. Learn from experienced bonsai practitioners about how bonsai are created, styled and kept healthy. After just a few hours, you will be ready to take the next steps along a path to learning and loving bonsai. Sign up for the Bonsai Basic Class at the Bonsai Garden at Lake Merritt where the class is held the fourth Sunday of each month.Class hours: 1:00PM-3:00PMLead Instructor: Dr. John NackleyBonsai Class – Introduction to BonsaiHosted by the East Bay Bonsai Society.Free two-hour class, fourth Sunday of the month except February and December, from 1-3 PM at the Bonsai Garden at Lake Merritt, 650 Bellevue Ave., in Oakland, California. For more information about the garden, go to http://gsbf-lakemerritt.org/.Have you recently gotten a bonsai tree and wondered how to take care of it? Do you wonder if it’s alive? Have you gone through our Bonsai Garden at Lake Merritt and just wanted to know more about how we develop and maintain these wonderful trees? Then come to our Introduction to Bonsai class and get an overview of what bonsai is about. You’ll learn about seasonal maintenance work such as repotting, trimming, watering and fertilizing. You’ll learn about the basic styles of bonsai and the techniques we use to shape the trees.If you have a bonsai and would like advice on how to care for it or take it to the next level, bring it in! We will not have time to work on your tree, but will try to answer any questions you may have. (Make sure your tree is not diseased or infested. We don’t want to contaminate the trees on display).You will also learn about resources in the area such as where you can learn more about bonsai and where you can find clubs, shows, supplies, and trees.The class is structured for beginners. You can make a reservation for the class by signing up at the Bonsai Garden at Lake Merritt or by calling the garden - 510-763-8409. 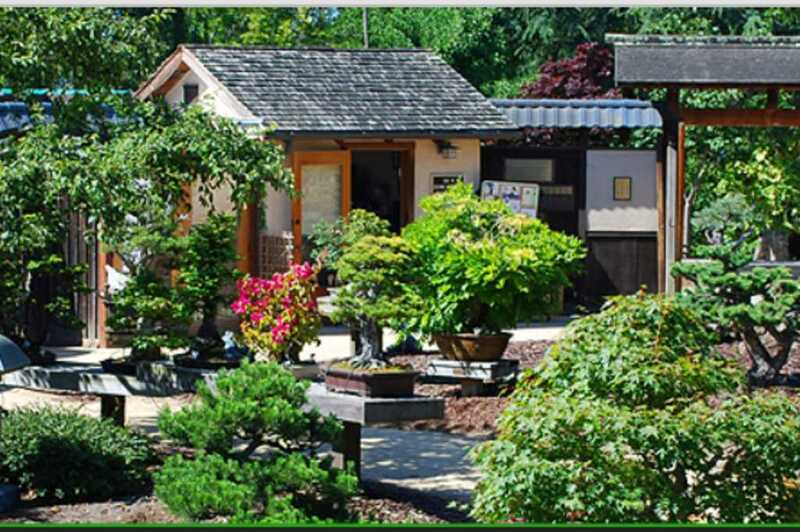 The class is designed and taught by members of the East Bay Bonsai Society (EBBS). This club has monthly instructional meetings and an annual bonsai show at the Lakeside Garden Center at Lake Merritt. For more information about EBBS, go to www.eastbaybonsai.org.